Nokia’s business may not be circling the drain hole, but it is in the toilet despite positive spin around its recent finances. How can the company be saved? A former exec knows: by flushing its middle management. Register gave it a close read. Risku is a former architect and industrial designer, and he was employed at a senior level inside Nokia between 2001 and just recently. In fact, Risku was involved in product design, he was head of the Symbian “user experience” design team (which means you can partly blame him for Symbian’s insipid, bland UI), he worked at Forum Nokia (which supplies tools for third-party developers) and he was head of Nokia Showroom. So his book about the issues Finland’s premier company is facing is sourced in real, juicy inside data–some of it presumably stuff Nokia wouldn’t want you to know. Risku thinks he understands Nokia’s core problems, and how to solve them. The issues are almost depressingly normal, they are the same slow-breaking cumulative disasters that befall many successful companies. Nokia is bogged down, suffocated, and squashed by its many layers of management. The complex mechanisms of management often stifle innovation, and ensure that even cutting-edge solutions to technical or marketplace problems are months old by the time they swing into any sort of action. Many management posts are filled with folks who’ve been promoted through their incompetence (the classic Peter Principle). While Nokia’s R&D is roaring along on rocket-powered roller skates, Risku believes many of the potentially world-beating ideas are ditched by managers who merely don’t like them. Or else they are delayed and then tinkered with by unthinking staff to the point that they become flat and boring by the time they become real products. How did Nokia get like this? This is perhaps Nokia’s biggest mistake: It’s embattled CEO Olli-Pekka Kallasvuo may just be too entrenched, too close to his business to admit anything’s structurally wrong. He even jumped on press rumblings that Nokia may be looking for a new CEO after the most recent financial release, quashing any notion that he’s leaving. Maybe it’s time he did? This rings horribly true when you look at Nokia’s product portfolio: Phone after boring phone, each with minuscule differences to other similar units, along with style and performance and specs that wouldn’t look out of place in a phone catalog from 1997. This strategy has served Nokia well in delivering cheap low-power phones to the world’s poorer nations, and that’s kept the cash coming in. But its lack of innovative, game-changing phones at the high-end of the market (where big profits can be made very swiftly–just ask Apple) is explained away completely by what Risku reveals as normal Nokia business. 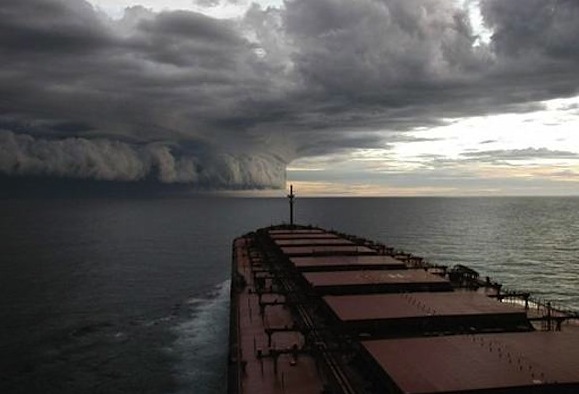 How can you fix Nokia before its giant cargo-ship of similar cellphones sails into a storm that’ll sink it? Risku thinks it’s easy: Gut the management structure, injecting some vitality and speed to the way new projects proceed from concept to reality. And avoid bringing in “Americans,” who Risku thinks would corrupt the “Finnish way” the company works with their “aggressive” habits and “money-grabbing” thinking. Cultural stereotypes aside, Risku may be right–what Nokia seems to need is not money-grabbing, cash-before-long-term-success changes, but a real injection of life. And soon. Because Palm tried something similar. And we all know how that turned out.